An interview is a dialogue between two people. What you give is what you get. So be proactive. Ask questions and initiate discussion. Confirm your interview time, date, and location one day in advance. Use this as a way to connect with your contact who could provide additional last-minute information. NEVER be late to an interview. If you are going to be late, call and reschedule instead. You will make a much better impression being on time. 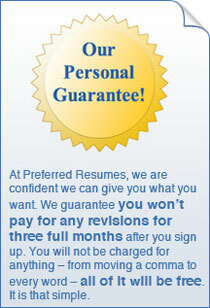 Bring extra copies of your resume with you. Never assume the interviewer can find your resume. Arrive 15 minutes early and retire to the restroom. Check your appearance in the mirror. Hair in place? Makeup intact? Hose crisis? Women should pack an extra pair, just in case. Take off your coat and hang it up before the interview. In tennis shoes? Change into good shoes before you enter the building. Look busy. Take out reading material on the company or peruse company literature available in the reception area while you wait. Don't fidget. Some companies require all applicants to fill out an application, regardless of position. Fill it out completely, even if you have a resume. Stand up to greet the interviewer and extend your hand. Give a firm handshake, but don't crush. And don't pump your arm up and down. Once in the interviewer's office, wait to be seated. You don't want to sit in the interviewer's favorite chair. Even if offered, don't smoke, chew gum, eat, or drink coffee during the interview. And don't eat garlic or drink alcohol before the interview. Be observant. Are there pictures on the desk? Who's in the pictures? Trophies, awards? For what? Art? What kind? Be aware for small talk later on. In an interview, be careful not to dwell on your personal life. If asked, be brief but polite. Remember, the interview is about what you can do on the job, not at home. Don't name-drop, especially with a recruiter. If you know someone important, say so. But make sure there really is a connection. Recruiters have heard it all. Never argue. If the interviewer says something you disagree with, let it go. This isn't a debate. It's an interview. Answer only the questions asked. Be direct. Don't ramble. And never volunteer information. Be brief. The more you try to embellish your answers, the more likely you are to say something that disqualifies you. The earlier it is in the interview, the shorter your answers need to be. The interviewer has limited time and a list of questions to ask you. Never give up. Rejection goes with the territory of looking for a job. Each "no" gets you that much closer to "yes." The next time you get a rejection, remember: You can't be everyone's cup of tea, no matter how smart, capable, experienced, well-educated, or personable you are. Getting a job isn't rocket science. It isn't brain surgery. But it does take time, effort, and commitment. You have what it takes to get any job you want. Believe in yourself. "You are fabulous! Thanks to your services, I have landed an in-house position with a very big automobile manuf..."